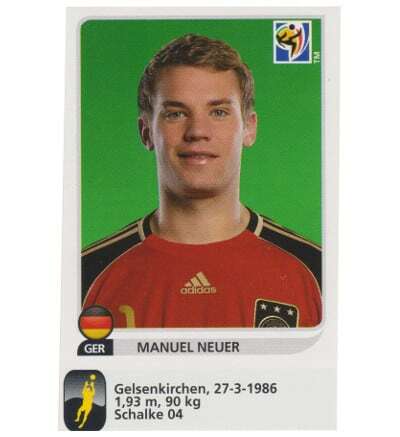 Panini World Cup 2010 update sticker of Manuel Neuer. This sticker could not be found in the packets. It was released separately afterwards. Since there are the player infos of Manuel Neuer printed at the bottom, the sticker can be stuck in the album wherever you want.